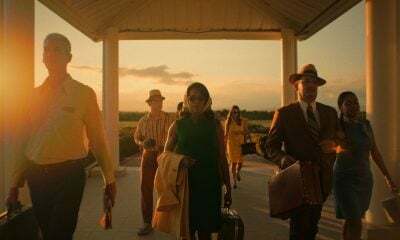 Alejandro Amenábar’s Agora is an innocuous epic, a pointless spectacle that champions free-thinking intellectuals over violent zealots while ineffectually appealing to the same uncontrollable emotions it condemns. The sleepy melodrama dithers between listless romantic intrigue and confrontations with angry Christian mobs that stone Jews because the Good Book tells them to and, more realistically, because they were harassed by pagans first (this time, it’s personal). It’s essentially a swords-and-sandals version of Conquest of the Planet of the Apes, except instead of Ricardo Montalban preaching for interspecies tolerance, we get Rachel Weisz doing pretty much nothing except looking good in a toga. Set in Alexandria just before its legendary library was destroyed, Agora lacks the conviction it needs to drive home its talking points, which is what it really boils down to. No matter how disingenuously blood-thirsty Amenábar’s Christians may be, they’re just mouthpieces for a stillborn argument about how we need science and reason to bring people together, as opposed to using theology to set them apart. Amenábar and co-writer Mateo Gil spend so much time creating extenuating dramaturgical circumstances for its stick figure characters’ defining beliefs that it’s especially depressing to see that the film’s intellectual thrust boils down to a mawkish line like, “There are more things that unite us than divide us.” Earth-shattering, truly. Despite the sad fact that much of Agora is, in some way or another, concerned with marauding Jesus freaks, their religious beliefs are ultimately a very prominent red herring. 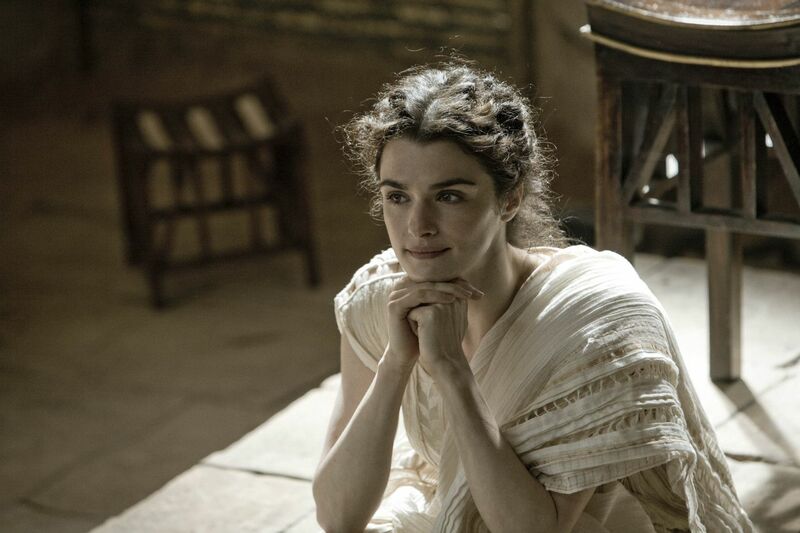 Philosophy, as represented by Hypatia (Rachel Weisz) and a forum of students that mull over whether or not the Earth is round, is the great communicator, not religion. Religious differences necessarily lead to arbitrary conflicts, as in the way that members of the pagan gentry mock and eventually set out to lynch their Christian brothers before they themselves wind up being attacked by hordes of the feisty monotheists, who have the Roman government and army supporting them. 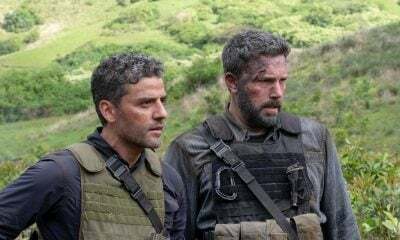 Friction between the two groups is further perpetuated because nobody heeds Hypatia’s sage advice except for her father (Michael Lonsdale), a leader in the pagan community, and Orestes (Oscar Isaac), her would-be suitor. In fact, the normative response to Hypatia’s level-headed attempts to influence men in power, be they her father or Orestes later when he’s appointed local Prefect, is: “Philosophy? Just what we need in times like these.” So to recap: The Alexandrian library was destroyed because nobody listened to reason, which in this case is conflated with science. The forces of unreason, in this case proto-crazy Christians, are to blame and the eggheads were right all along. Sadly, knowledge of Aristarchus’s heliocentric model of the galaxy doesn’t make Agora watchable. Then again, Amenábar and Gil don’t exactly give viewers any good reasons to trust in their impotent academics. While the tyrannical Cyril (Sami Samir) either beats into submission or mesmerizes both common folk and dignitaries alike by thumping his Bible, Orestes and Hypatia can’t even properly reciprocate their true feelings with one other. She is too absorbed in declaring emphatically about how her experiments provide “definitive proof” (but of what she even admits she does not know), while he is reluctant to condemn Cyril because he himself is Christian and doesn’t also want to be a hypocrite. They’re like two ships passing in the night except that when Orestes finally finds the courage to tell Hypatia how he feels, she rejects him indelicately by presenting him with a hanky with her menstrual blood on it, using it as a sign that they, as men and women and not as individuals, are incompatible. These people aren’t just fallibly high-minded—they’re certifiably deranged. Amenábar and Gil’s approach is equally quarter-cocked when it comes to allowing the viewer to lavish in the golden-age opulence of Alexandria preceding the Christian riots. We get a lot of shots of the world from outer space for some reason, perhaps to show us what Hypatia and her acolytes never could see because of their woeful lack of CGI technology, and more than a few tantalizing crane shots of the unmemorable period sets, but they’re all purely functional, just like most of the scenes of violence throughout the film’s bloated now-127-minute runtime. There’s no appreciable extravagance to Agora as too much effort is wasted on selling Hypatia’s self-righteous intellectual preaching. Christians spend most of the film behaving badly (stoning people mostly, though there are hints of other offenses, including a glimpse of a woman being forcibly stripped in the titular marketplace), but it’s all about as juicy as the contents of a vacuum cleaner. The Alexandrians never stood a chance.